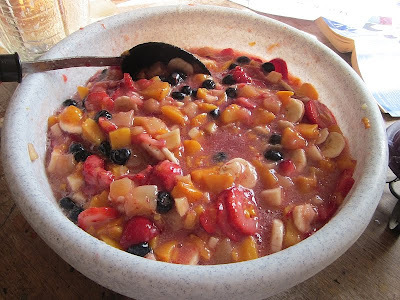 Here's a delightful dish for any time of year, though it's especially welcome during the dark days of winter: fruit salad. As with anything of this nature, fruit salad can include whatever fruits you particularly like. 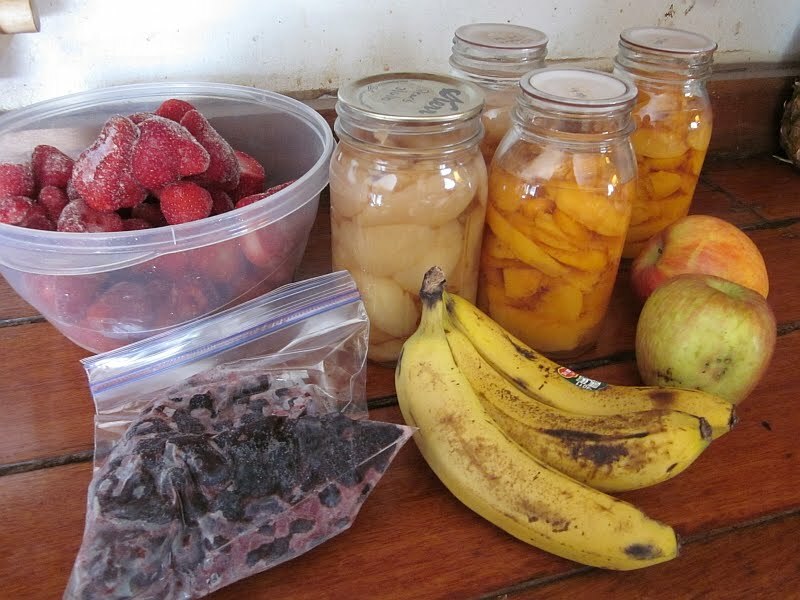 For us this means: peaches, pears, apples, bananas, strawberries, and blueberries. 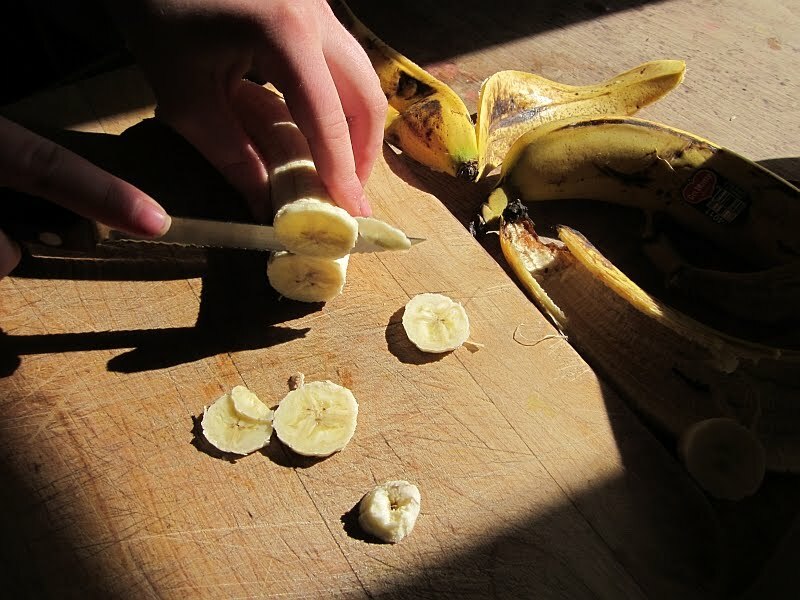 Younger Daughter started by slicing the bananas. 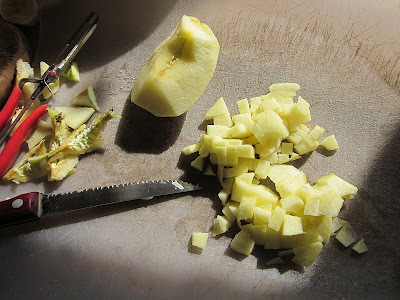 While she did that, I peeled and cut an apple into "bits." When we lived in Oregon and had mature apple trees, I canned apple "bits" specifically for use in fruit salad, and they turned out beautifully. I like apple bits for a little bit of crunch. 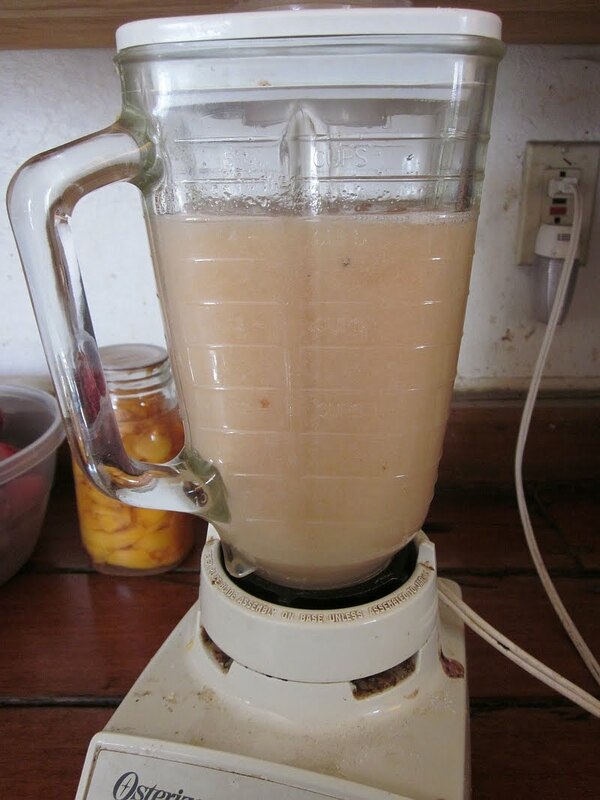 By the way, only use firm apples. 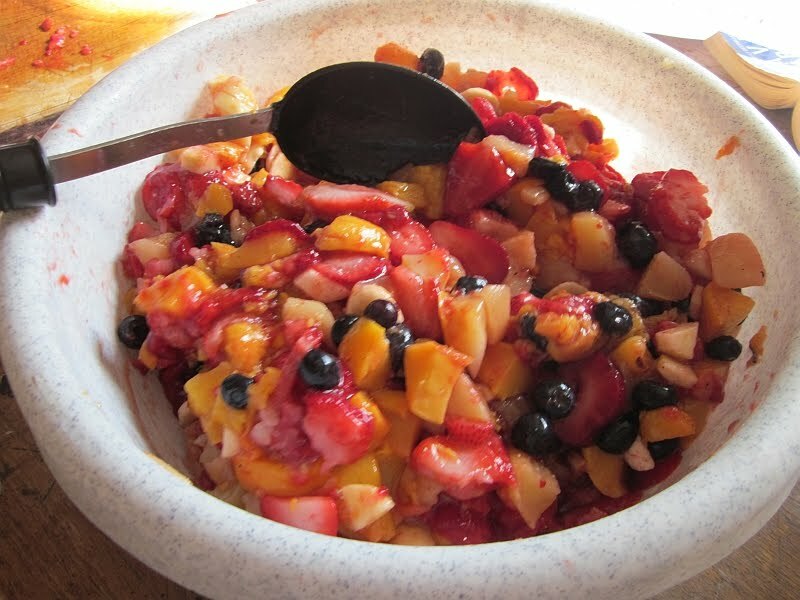 Red or Yellow Delicious are so mushy that they taste terrible in a fruit salad. 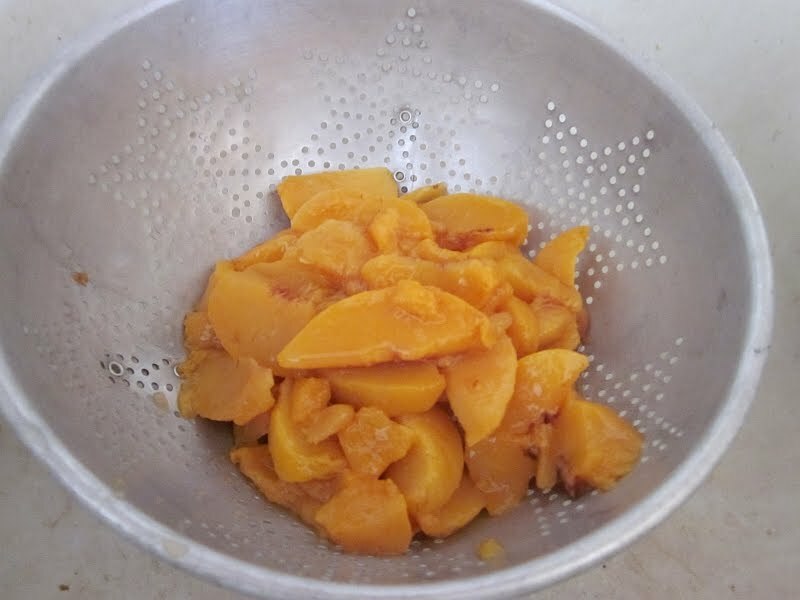 Drain the peaches and cut up into chunks. 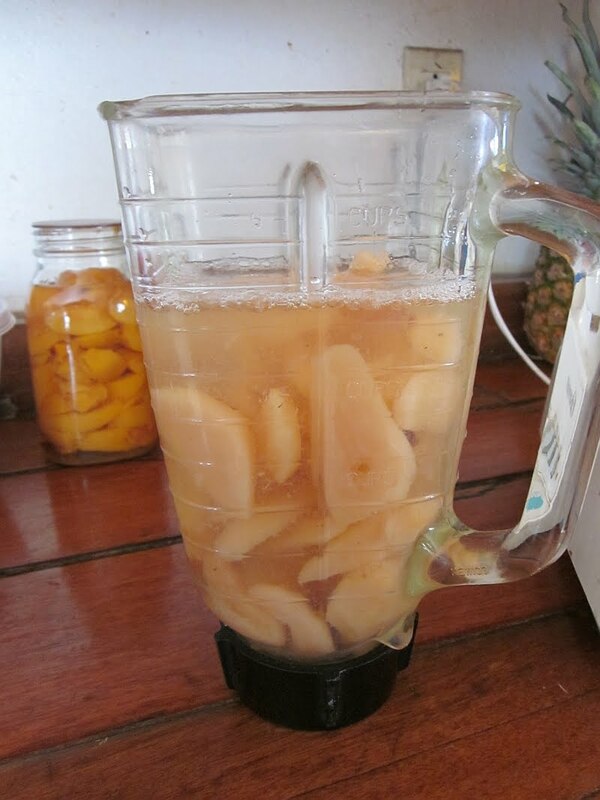 Drain only one jar (or can) of pears, and cut into chunks. 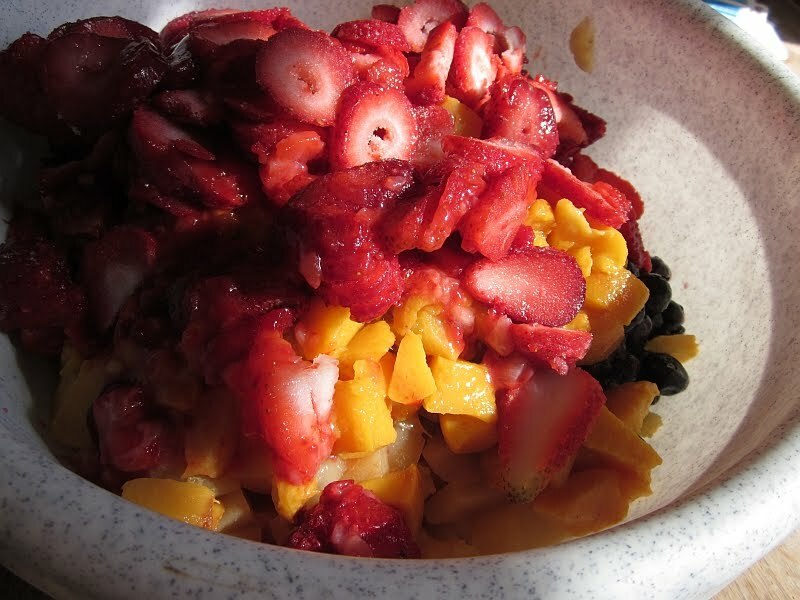 Everything should just get tossed into a big bowl. Blueberries are just added as is, of course. 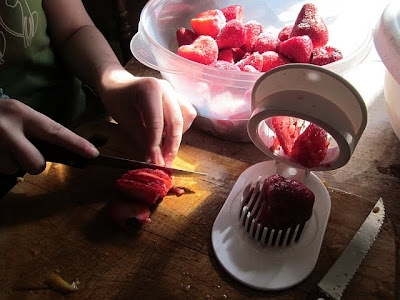 But we sliced the strawberries. Maybe it's just me, but I don't care for citrus in fruit salad, much as I love oranges. Somehow the consistency doesn't seem compatible. But hey, that's just me. Now mix everything up. Looks pretty, in my opinion. 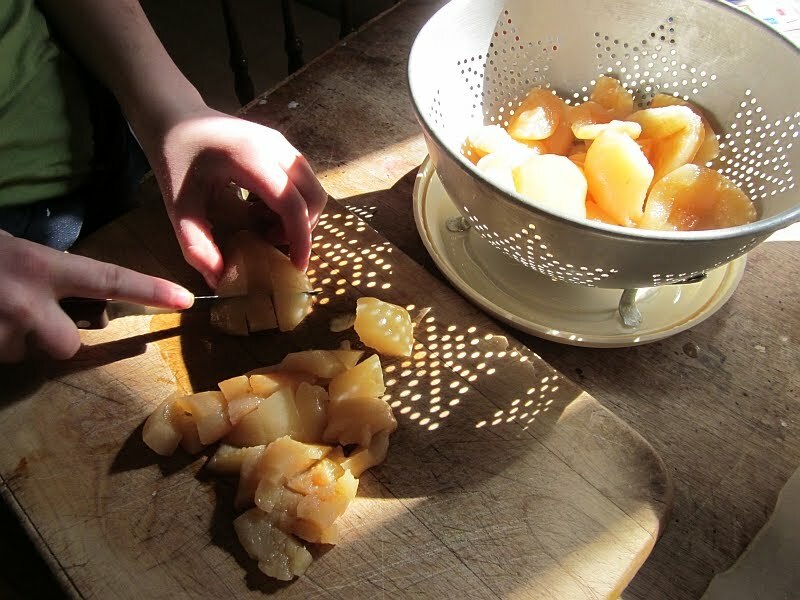 ...and blend it into a pear "sauce." 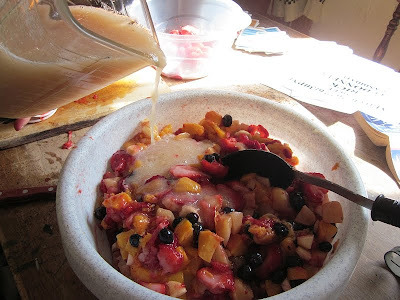 While it's wonderful in its just-made state, it's even better after a day or two in the fridge, when the flavors blend... IF it lasts that long. Enjoy! 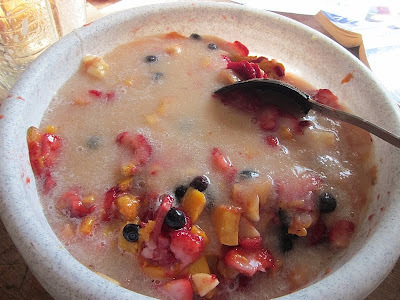 Patrice, The fruit salad looks delicious. 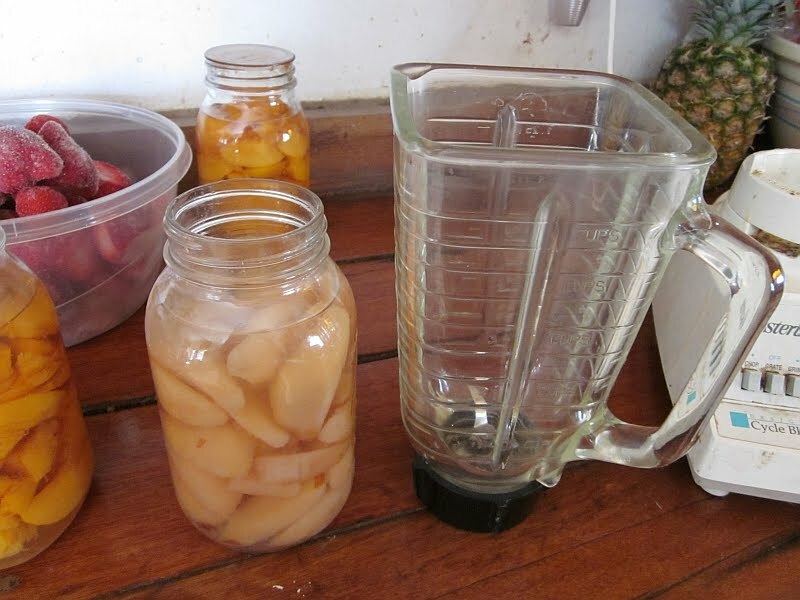 I think the longer the fruit sits in the pear juice the better the salad tastes. I apologize for going off track for a minute. I was wondering when the canning booklets for the Kindle were going to be ready. 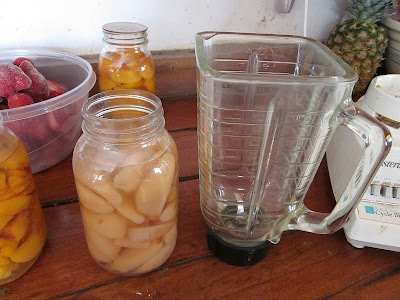 One of my actual real friends (as opposed to the virtual kind) wants to start a canning co-op. Your booklets were the first thing I thought of to represent my contribution to the project. Good question, I think I'll post an update right away (as a separate blog post) so people know the status. We do not like pears at our house, but we use pineapple chunks. The acid in the pineapple also helps keep the bananas and apples from turning brown. We drain the pineapple juice and peach juice into a cup and drink it. It is so tasty. We then stir in about 1-2 cups of plain yogurt. We very rarely have leftovers either. 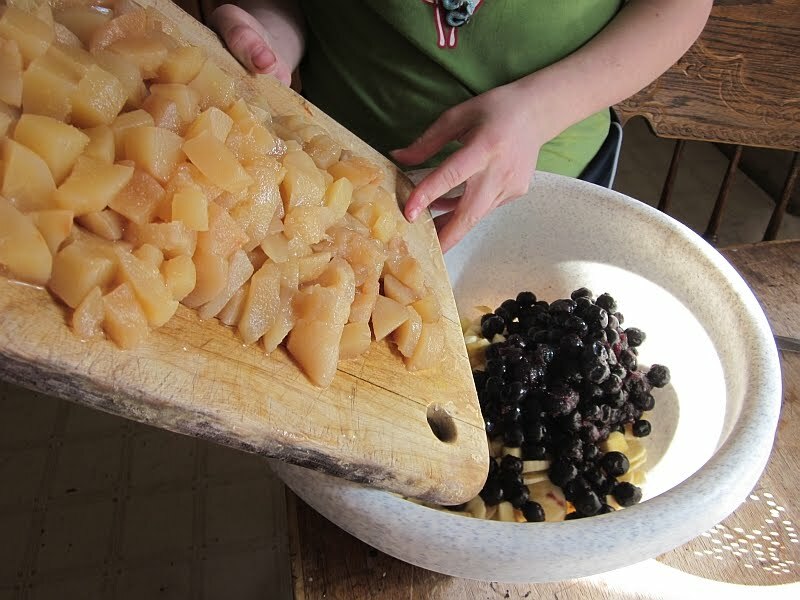 We usually add walnuts or pecans to ours and dried cranberries or raisins. We also use yogurt or sour cream or sometimes mayo (homemade) as the dressing. The pear dressing sounds great. Wow! That looks amazing. Thank you! fruit salad is a winner in this household too...but instead of the bannanas we use chopped pineapple, seedless grapes, and marachino cherries...the cherry juice is included and then we leave the mixed fruit in the refrigerator overnight. the next day, all the flavors are intermingled and oooh so tasty and cold!